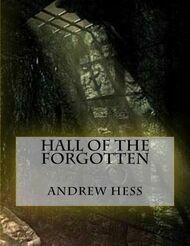 The Hall of the Forgotten is a series of poems inspired by Edgar Allen Poe's Cask of Amontillado. A man who has been picked on, lost, and pushed aside wants to put his past behind him. What better way to cast them out than to encase them in their own private cells underneath a secluded mansion.